While I do not condone extreme diets, eating food made with fresh, uncomplicated ingredients is important to me. But until last week, my admiration and passion for traditional French pastry had prevented me from experimenting with healthy, unconventional baked goods. 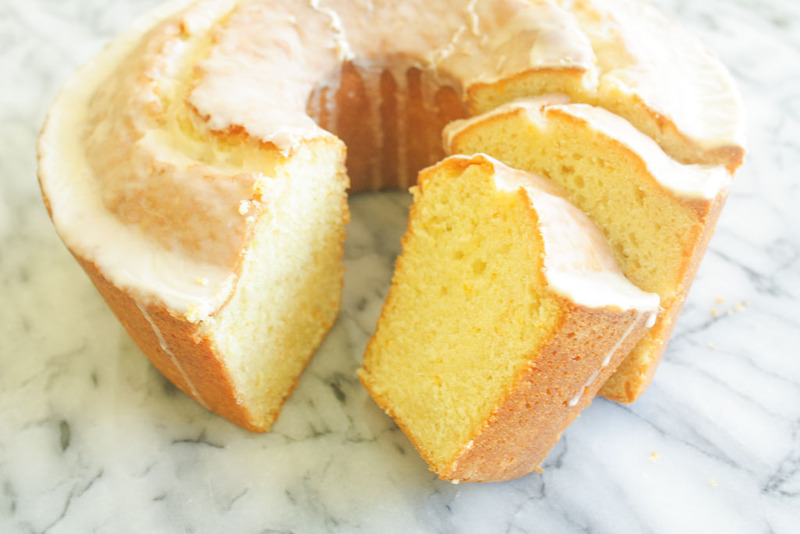 In my opinion, no gluten, dairy, and wheat-free pound cake can match one made with good ol’ butter, sugar, and all-purpose flour. That being said, after stumbling upon so many gorgeous photos of cookies and breads using wholesome ingredients, I decided to try a naturally gluten-free morning muffin recipe. The results were less than stellar. What started as a hopeful undertaking turned into an epic baking fail. Shredded carrots and apple, golden raisins, and coconut and almond flours morphed into a gritty-tasting stump that crumbled in my hands. For a second, I debated sending the muffins to school with my little sister, but feared that my reputation as bake sale queen would forever be tarnished. Both demoralized and slightly amused, I embarked upon another baking project the next day, deciding to stick to what I know. It had been a while since I had made a pure chocolate cookie, and these could not have hit the spot more. The recipe comes from acclaimed chocolate makers Rick and Michael Mast, the geniuses behind Mast Brothers Chocolate Factory in Brooklyn. While some chocolate cookies can be overly-rich and dense, the addition of crème fraîche gives these an ethereally-light and soft texture. So as much as I like the idea of incorporating healthier baked goods into my daily meal rotation, I’ve learned that some foods are best in their simple, indulgent forms. These cookies spread quite a bit while baking, so make sure to leave ample space between each one. 1. Place racks in lower and upper thirds of oven. Heat 8 ounces chocolate in a heatproof bowl set over a saucepan of simmering water, stirring until chocolate is melted; let cool slightly. Reserve saucepan for melting more chocolate for glaze. 2. Sift flour, baking powder, and salt in a small bowl and whisk together; set aside. Using an electric mixer equipped with a paddle attachment, beat brown sugar and butter on medium-high speed until light and fluffy, about 4 minutes. Add eggs and crème fraîche and beat until just combined. Reduce speed to low and gradually mix in melted chocolate; reserve chocolate bowl. 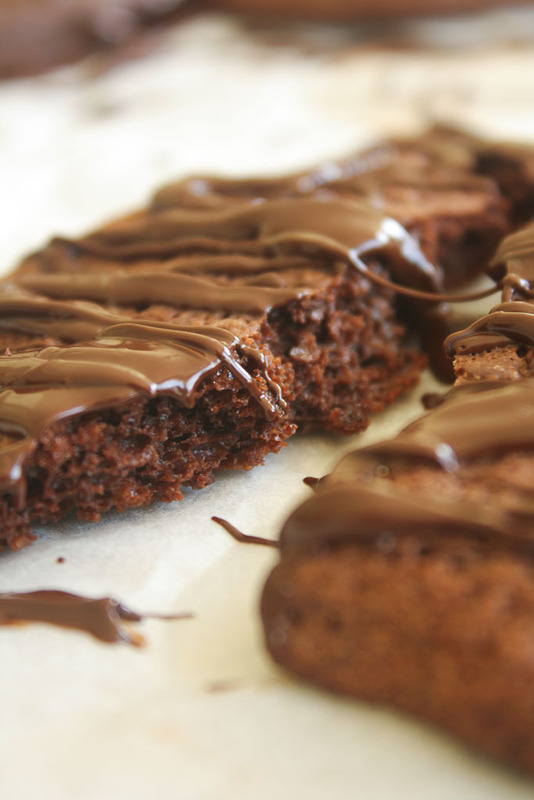 Mix in dry ingredients just to combine; fold in 8 ounces coarsely chopped chocolate. Do not overmix. Cover and chill dough until firm, at least 30 minutes. 3. Preheat oven to 350° F. Drop heaping tablespoonfuls of dough onto parchment-lined baking sheets, spacing 2″ apart. Bake cookies, rotating sheets halfway through, until edges are set but centers are still slightly soft, 15–18 minutes. Let cookies cool on baking sheets for 3 minutes. Transfer to wire racks and let cool. 4. Melt remaining 4 ounces chocolate in reserved bowl set over reserved saucepan of simmering water. 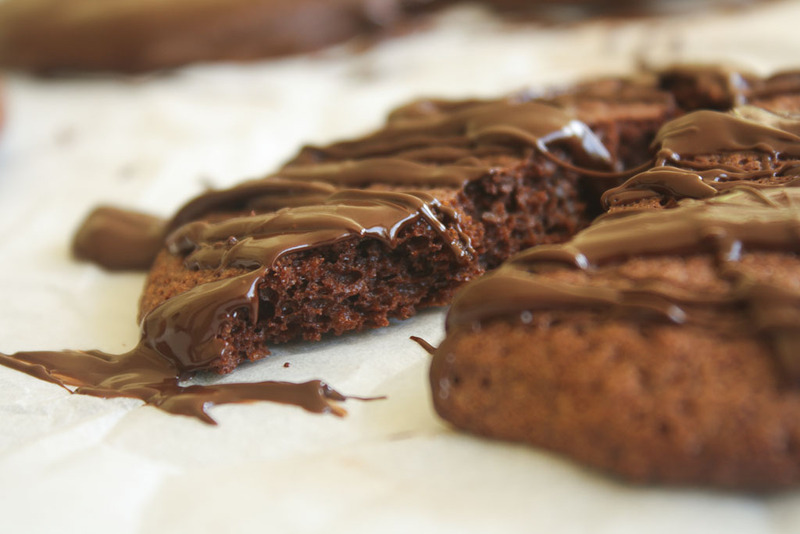 Let chocolate cool slightly, then dip or drizzle cookies with chocolate as desired. Let sit until chocolate is set. You learn a lot about people by looking at their bookshelves. My dad has a wall dedicated to jazz books, complete with a bronze sculpture of Miles Davis and miniature figurines of an orchestra. Another section of his library contains autobiographies of former U.S. presidents and books about economics and behavioral psychology. You could say that he’s a pretty eclectic guy. My mom collects coffee table books about fashion, art, and flowers, along with fiction novels by iconic French writers. She arranges them pristinely, each book a gorgeous jewel awaiting to be examined. You can probably guess what my bookshelf looks like. My love for baking, photography, and writing has inspired an extensive cookbook collection. The cookbooks that I’ve acquired from my travels bring back vivid memories of brisk afternoons spent strolling through San Francisco, or the best scrambled eggs I ever ate while in Sydney. Whenever I read cookbooks from my favorite bloggers, I marvel at how the internet has allowed amateur cooks to become award-winning authors and photographers. I am always on the lookout for cookbooks from local bakeries and restaurants. Valerie Confections, a quaint bakery located in Echo Park, offers meticulous, French-inspired pastries and confections. Sweet by Valerie Gordon contains a wide array of gorgeous recipes, ranging from fancy celebration desserts to breakfast pastries and everyday cakes. 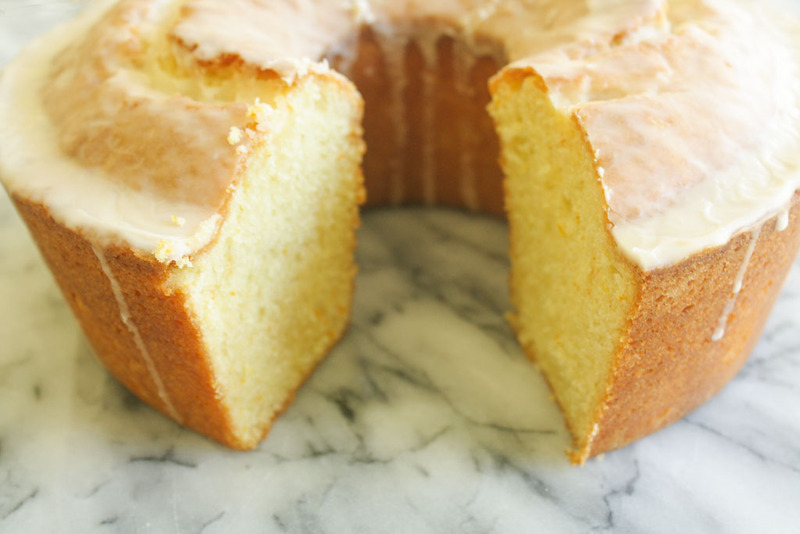 This pound cake is wonderful in its simplicity. Fresh tangerine zest offsets the sour cream’s richness and provides a bright, slightly tangy flavor. To finish, the cake’s golden brown crust is covered with a shiny tangerine glaze. 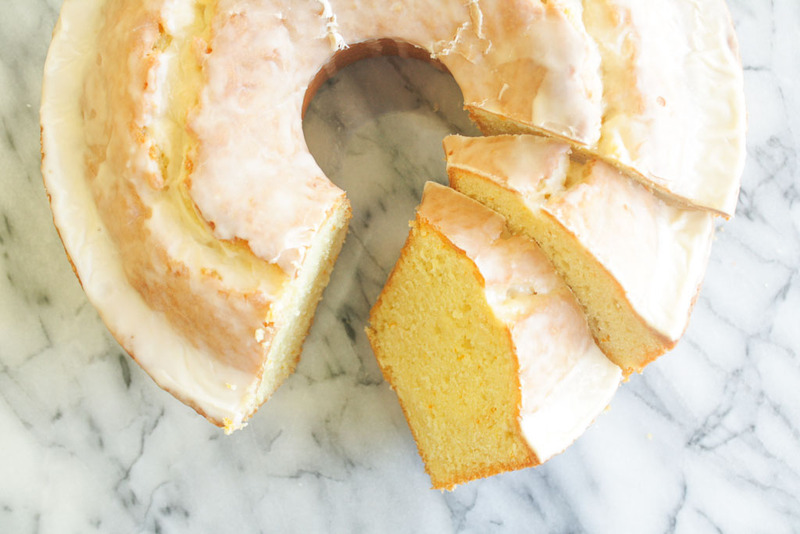 Served alongside a cup of tea, this cake becomes a delightful breakfast or afternoon snack. Because I prefer my baked goods less sweet, I eliminated one cup of sugar and chose not to soak the cake in syrup after baking. The cake was sufficiently moist and subtly sweet. 1. Position a rack in the center of the oven and preheat to 325° F. Grease a non-stick tube pan with butter or baking spray. 2. In a medium bowl, sift together the flour, baking soda, and salt. Mix the sour cream, tangerine zest, and vanilla together in a small bowl. In the bowl of a stand mixer fitted with a paddle attachment, beat the butter and sugar on medium speed until light and fluffy, about 5 minutes. Add the eggs one at a time, mixing well after each. 3. Reduce the mixer to low speed and add the dry ingredients, one cup at a time, mixing until just barely combined. Some streaks of flour are ok. Add the sour cream mixture and mix until smooth. Do not over-mix. Pour batter into prepared pan and smooth the top. 4. Bake for 45 minutes, then rotate the cake and bake for an additional 20-30 minutes, or until the top of the cake is cracked and golden brown, and a toothpick inserted into the center comes out clean. Cool the cake in the pan on a cooling rack for 45 minutes, then invert it an allow to cool completely. To make the glaze, whisk the tangerine juice and confectioners’ sugar together in a bowl. Adjust amount of powdered sugar based on desired thickness of glaze. Pour over the cooled cake and allow to set completely.